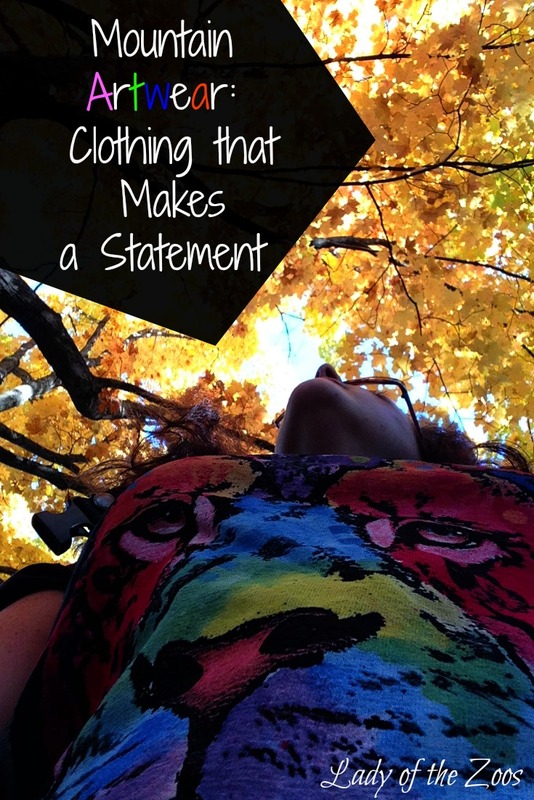 Are you one who truly cares about what you wear? And I don’t mean what’s on trend, or designer brand names. I mean the kind of caring about how it’s made, or does it make a difference, and what it says about you. Well, I do care. So, I was thrilled when Mountain Artwear wanted to send me a few of their pieces to review. Did you know that the average North American throws away 70 pounds of textiles every year? In such a wasteful society we should be more thoughtful about what we purchase, and where we purchase from. That’s where The Mountain apparel comes in. They’ve been around for over 30 years and are considered the greenest t-shirt company in the USA. With strong values to protect the environment, The Mountain is a great company to support. They work hard to reduce their impact by using water-based inks and organic dyes, as well as other responsible techniques. The Mountain also works with a few organizations that support animal welfare. One of which is the Best Friends Animal Society. A part of the proceeds of every t-shirt purchased from their Russo Rescue Collection goes to the Society. They have a ton of categories to choose from, with varying styles. They have something for everyone, from the sports nut to the nature and animal lover! I was stoked when my package came in with my three Mountain Artwear pieces. I couldn’t wait to test them out and take them out into the world! 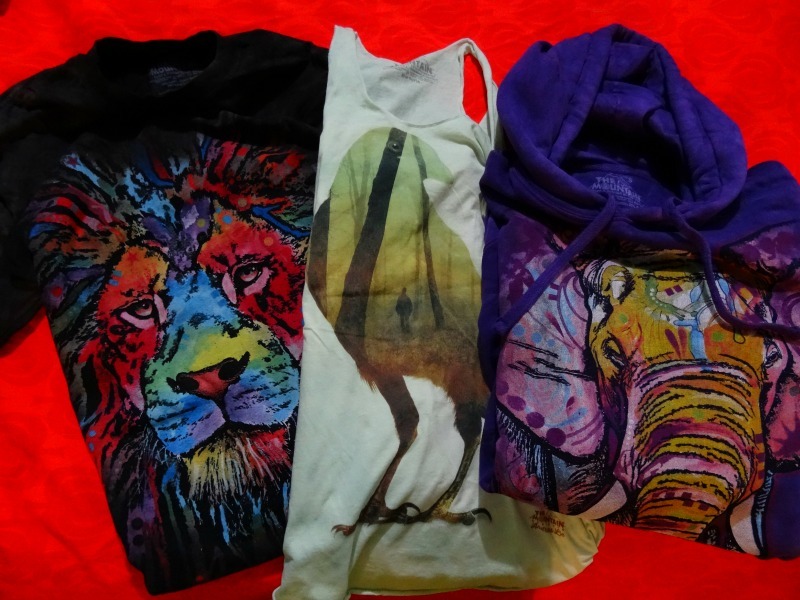 Most of my clothing really reflects who I am; a traveller, a nature nut, and an animal lover. So, the Andreas Lie Collection and the Russo Collection both really stood out to me. I was inspired to get outdoors with Andreas Lie Collection. It’s full of hauntingly beautiful nature images. And I chose the Crow Woods Flow Tank. This is a perfect tank for summer. It’s light, flowy and didn’t hug my body. 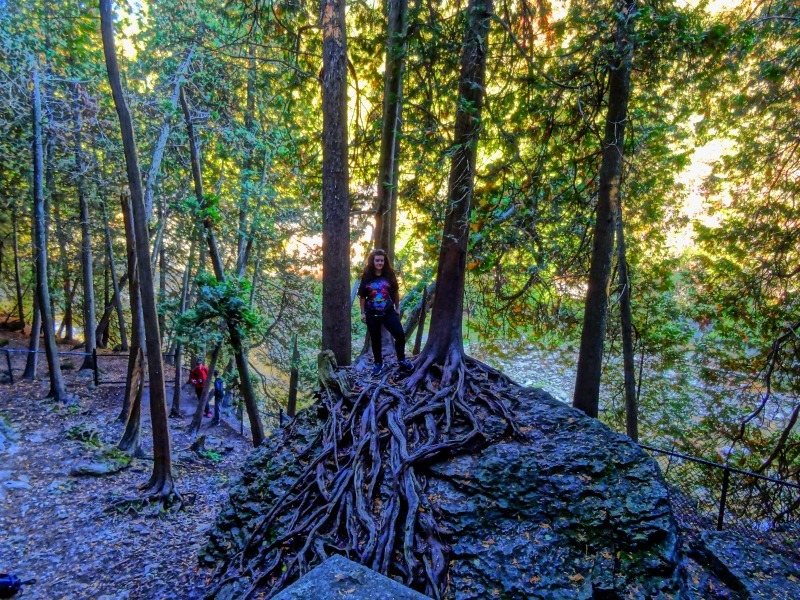 All of which helped me stay cooler while hiking in the Elora Gorge. My love for African wildlife inspired my second choice, the Mane Lion T-shirt. I love its brilliant bright colours that really made the beautiful lion head stand out. 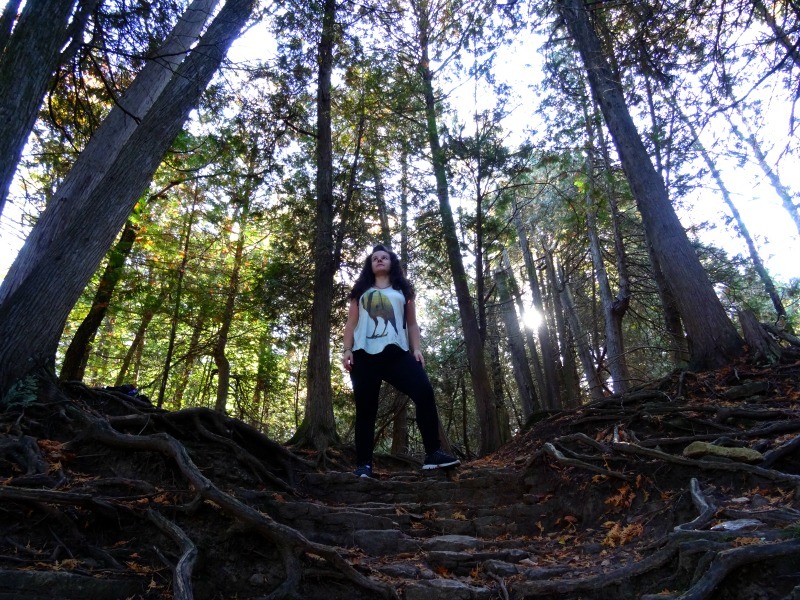 While it’s a heavy t-shirt, and a unisex fit, I still love it for exploring the shaded trails in the late summer. And of course I just had to have something from the artist Dean Russo Collection, of which proceeds from the collection help animals. I chose the Russo Elephant Hoodie Sweatshirt. 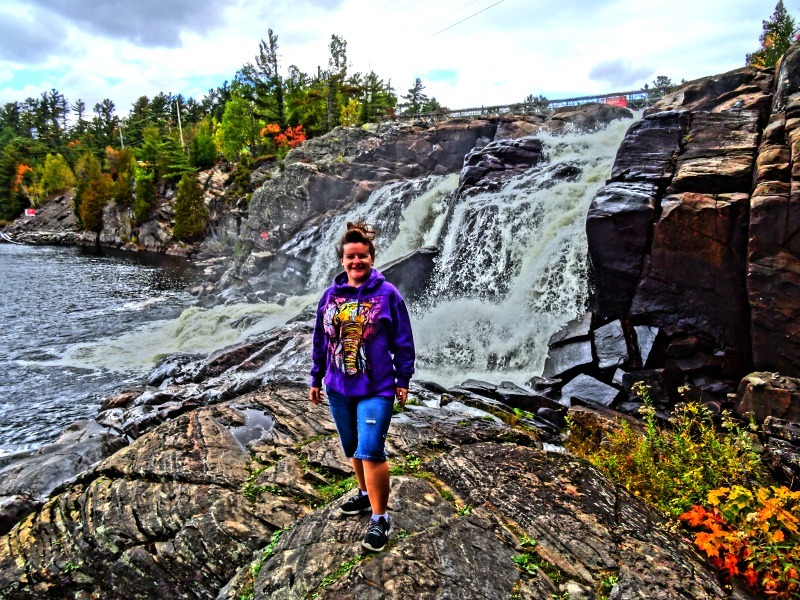 It’s perfect for fall exploring as its thick, cozy and definitely will keep you warm. One thing that really stood out about Mountain Artwear’s clothing is that you can tell it is well made and built to last. So, whether you’re looking to add a few new pieces to your wardrobe or grabbing a few holiday gifts, head over to Mountain Artwear today! Thanks to Mountain Artwear for supplying me with a few of their pieces to review. As always all opinions are my own.